Running your own business from home requires a certain level of productivity each day. It’s taken some trial and error to find what works best. 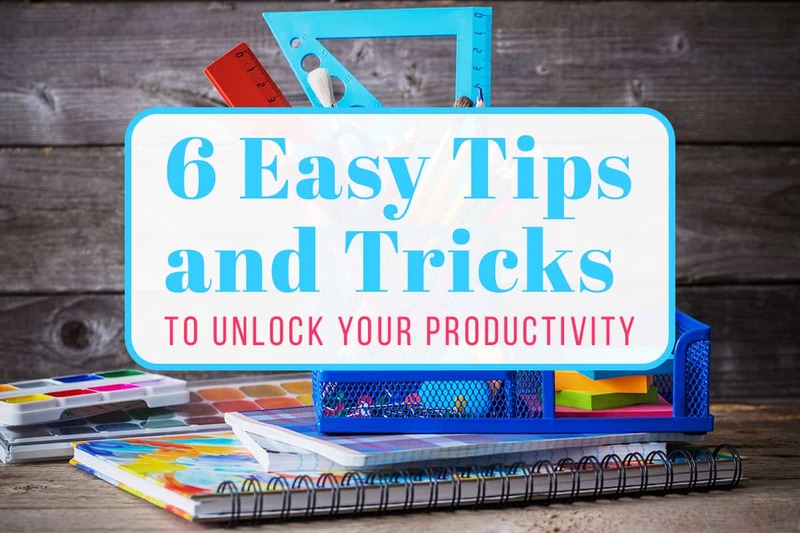 Today I’m here to share what I’ve learned about staying on task and getting my work done each day with these productivity tips. If my work area is in disarray, I am distracted. I needed things to be clean and organized to stay focused on the task at hand in. This is something I’ve talked about before at length. You can see tons of ways to organize your workspace here, but wherever your workspace is keeping it clean will go a long way towards improving your productivity. You may think it’s fine to fly by the seat of your pants, but it leads to less productivity. You want to plan out your tasks for each day so you can stay on track and make progress. Having those tasks set out before you helps you gear up for the day ahead. There are numerous ways this can be done in your bullet journal. 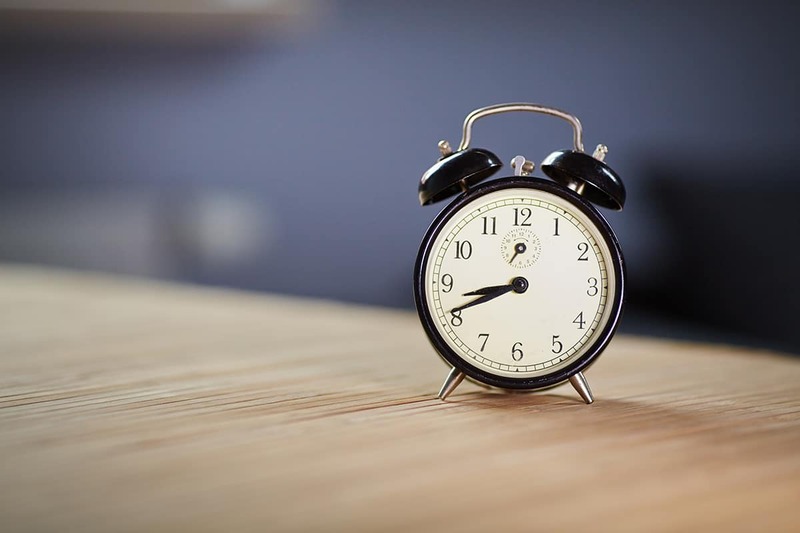 One option is to schedule out what you will work on during certain hours at regularly spaced intervals. For example, I have hourly timed slots in my journal from 8 a.m. to 4 p.m. This helps me plan the bulk of my day. If you want to be more precise, you can plan it down to the quarter hour. Another option is to make a plan based on tasks each day and then make sure those tasks are completed. I do a combination of the two as I’ve found that works best for me. I run my business from home and homeschool, so there are days my schedule completely goes out the window. That’s where my task list kicks in, and I’m still able to accomplish what I set out to do for that day, even if it wasn’t at the time I had originally planned. Having a proper morning routine can work wonders. 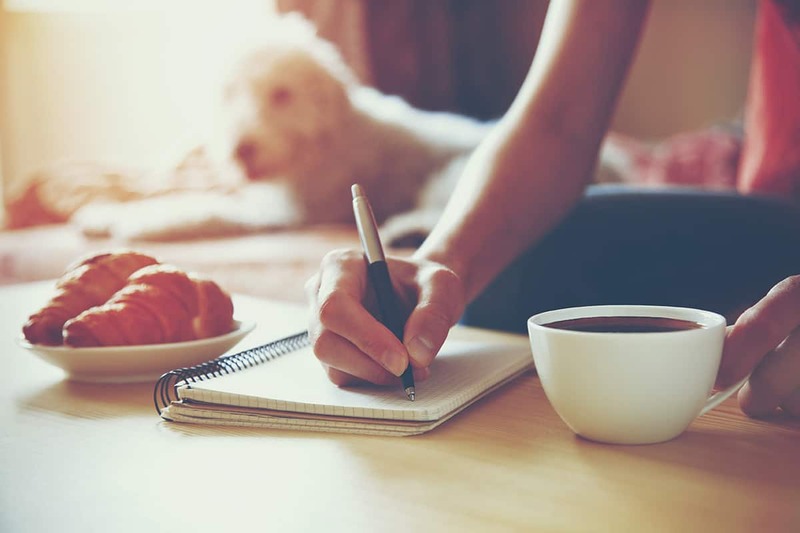 When you dedicate your morning to starting your day off right, you better prepare yourself to tackle all of those important tasks on your to-do list. There is no need to wake up 3 hours early, but you need to take a few minutes every morning to prepare yourself for the day. If you feel like you have no time in the morning, just start small. Take 5 minutes to try meditating, wait 10 minutes before grabbing your phone, or spend some time writing in your journal. This is similar to my previous point, and it’s just as important. Take a few minutes every night to plan what tasks you want to tackle the next day. There is no need to have an in-depth plan for every second of the next day. You just need to have a general idea of what you want to accomplish. This allows you to jump right into your day without waffling while you attempt to figure out what needs to get done. A large portion of the work I do is on my computer/social media. It’s easy to get distracted when notifications continuously pop up throughout my day. To solve this issue, I’ve turned off notifications for everything I didn’t need to have on. I unfollowed a vast majority of pages and people on Facebook, and I make sure chat is turned off when I’m working. I found a happy medium where I’m in the know about important things, but the notifications don’t pull me away from the task at hand. This goes for email and app notifications as well. Turn off whatever causes your productivity to take a nose dive. I wasn’t too sure about this one when I heard about it. Essentially you set a timer, work for 25 minutes, take a 5-minute break, and repeat four times. After that, you take a little longer break before doing it all over again. My first thought was “Who wants to get up from their work when they’re in a really good groove? NOT ME!” However, I decided to give it a try after using it for my son with his school work. There was just something about that little timer ticking away that motivated me to be laser-focused on the task at hand. As I began using this method, I was accomplishing more in less time than before. I look forward to those quick breaks to grab a cup of tea or act silly with my kids before getting back to it. After over 12 years as a nurse, I no longer work in a structured environment. Now I have little people that depend on me and need things throughout the day, like food and attention. I noticed I was getting really stressed out when my day didn’t go perfectly. I learned I need to have a balance of accomplishing my tasks while still knowing things may have to happen differently than I had envisioned. My tasks still get done, and I don’t cut myself slack there, but I no longer cause myself anxiety if the box doesn’t get checked until 9 p.m. That stress and anxiety from my day not progressing as I wanted it to, would stall my productivity. I gave myself permission to be more flexible within my structure, and suddenly the tension I felt was gone. I hope these productivity tips are easy for you to implement into your day without completely disrupting your life or doing something overly complicated. Remember that you don’t need to implement all of these, but I hope that some of these productivity tips will help you grow. Which one do you feel would be the most helpful to you? Oooh I love the idea of the pomodo timer thing! I’m awful at getting so caught up in what I’m doing, that I forget to eat and drink!! I know what you meal about forgetting to eat/ drink when you’re in the zone, Melissa! The Pomodoro timer is great for that as well as productivity. I didn’t think the Pomodo technique would work for me either but it does motivate me to work harder during those work times. I don’t use it near as much as I should. SO glad to hear these were helpful for you Karen!